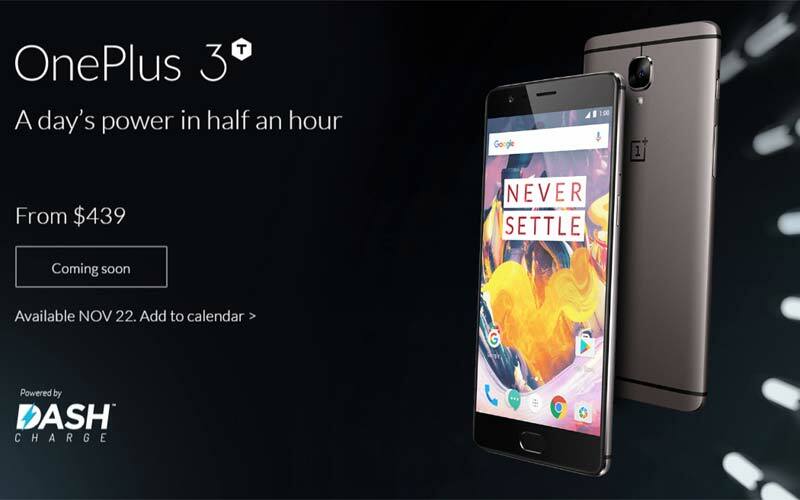 OnePlus released their OnePlus 3 earlier this year in June but today they enveiled another smartphone – the 3T. Consider this the “S” model in the lineup (like Apple’s iPhone S versions). There are some minor improvements which are very welcome but not enough to warrant an upgrade from a OnePlus 3. The 3T retains the same aesthetics of its young predecessor but comes in a new Gunmetal color. The specifications have received a boost though. The 3T packs the new faster Snapdragon 821 processor along with 6GB of RAM. There are two storage options – 64GB and 128GB. The display and rear camera are the same as the predecessor – 5.5inch 1080p Optic AMOLED with Gorilla Glass 4 and a 16MP Sony IMX 298 sensor (1.12?m, f/2.0 aperture, OIS, EIS, phase detection autofocus). The front facing camera though gets a significant upgrade to a 16MP Samsung 3P8SP sensor (1.0?m, f/2.0 aperture, fixed focus). The other major improvement comes in the form of a larger (YES THANK YOU) 3,400 mAh battery. Unfortunately the device is still running on Android 6.0.1 Marshmallow but OnePlus has promised an update to 7.0 Nougat by the end of 2016. The OnePlus 3T will be up for sale on 22nd November in the USA and Canada and 28th November in Europe starting at $439 (64GB) and $479 (128GB) for the Gunmetal color. The Soft Gold color will be available soon after launch.